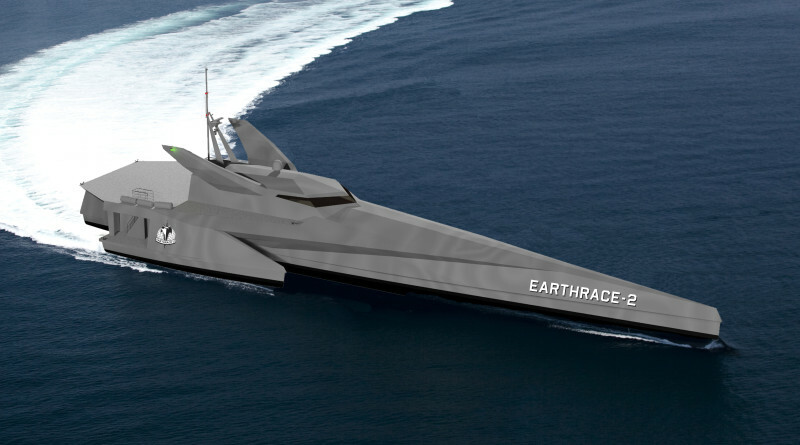 Earthrace, a 195-foot trimaran will be constructed in 2017. Earthrace recently released details of its Kickstarter campaign for designing its new conservation vessel. Earthrace CEO, Capt. Pete Bethune, said the Kickstarter campaign raised more than $90,000. Funds raised are going towards a vessel design that was started early in 2016 by LOMOcean Design in Auckland, New Zealand. Earthrace will be a 195-foot trimaran that will carry a crew of 16 and up to 10 additional guests. She will also have a 30-person theater for hosting school groups and members of the public during outreach tours. Bethune said the team is also developing a new spinoff TV show to be filmed on the vessel. Currently, Earthrace Conservation has a show, “The Operatives,” that sees its team of former military personnel assisting countries with pressing conservation missions. Earthrace anticipates starting construction early in 2017, and the team is confident of having the vessel launched two years later.